Daddy was born in Selmer, Tennessee. His father worked for Kroger, and the family moved around quite a bit, living in several Tennessee cities, in Arkansas, and in Michigan. His family returned to Selmer when Daddy was in high school. Our grandmother tells us Daddy was a very good student, a hard worker, and was mature and responsible. Daddy studied chemical engineering at Vanderbilt University and married Mama after his graduation in 1969. Daddy was in the oil business, working for Conoco and Fina. His companies transferred him to different locations, so we also moved around a lot! He also served in the United States Army from 1970-1072. Now he works harder than ever keeping up the farm. Daddy is an elder in our local church and is involved in the county Republican party, serving as the precinct chairman for our district. He greatly enjoys music, particularly brass. Daddy has a great sense of humor and is certainly the smartest person in our family! He is a very organized and orderly. 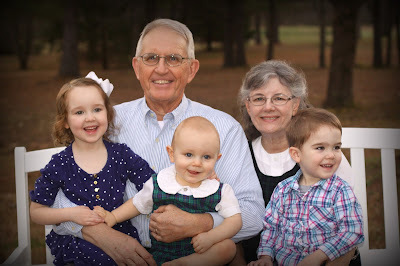 Daddy provides wonderful leadership for our family and is continually making sacrifices for us. We are thankful for his godly vision and humility and for how he works so hard to provide for us! Mama was born in Memphis, Tennessee, but her family moved to Arkansas when she was 2 months old. She lived there until her senior year of high school, when she and her mother moved to Selmer, Tennessee. She and Daddy met in the summer of 1964 and were married in 1969. Mama has truly given her life for us! 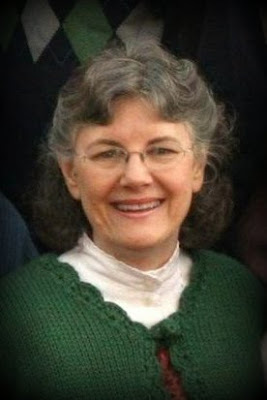 She home schooled her children for over 25 years. She has made so many sacrifices for her family and we are grateful!!! Mama is a very honest and sincere person. We always know that she will tell us exactly what she is thinking and exactly how she feels about something. Mama is also very wise and discerning. She likes things to be just right and spends long hours to perfect and improve projects. We continue to learn much from her commitment to excellence. Nothing Mama has a part in will ever be shoddy or mediocre! Mama is a supportive wife and a wonderful helper for Daddy. They have been married for nearly 50 years. Daddy and Mama love being grandparents! Daddy's favorite musical group is "The Canadian Brass." Two of Mama's favorite hymns are "And Can It Be?" and "My Faith has Found a Resting Place"
Daddy's great grandmother was a full-blooded Cherokee Indian! Mama plays the piano and the ukulele, but she doesn't like for anyone to hear her. Daddy is the oldest of three boys. Daddy's great-g-g-g-g-g-g-g-grandfather was Daniel Boone's uncle! When Mama was a young girl, she attempted to ride her bicycle over a board laid across a ditch ... with her eyes closed!